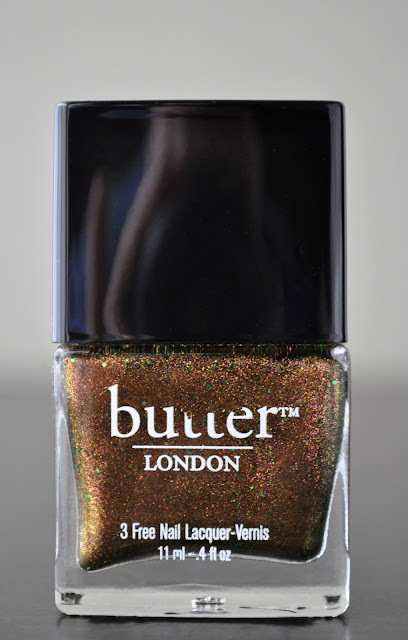 From my inability to photograph the shimmering gorgeousness of Scuppered, to trying to wipe off my finger prints from the bottle and, instead, rubbing off the top half of the t's from Butter London, it seems this post was predestined to be aptly in sync with the polish's name. Scuppered has a bronzed-copper base, with flashes of orange, red, pink, yellow gold, and murky green duochrome brimming, with kelly green, hot pink, mustard yellow and rust orange shimmer. The formula is thin (great for layering over other polishes), but after three to four coats, it's completely opaque. I know what you're thinking, "damn, that's a lot of coats." But, ladies and gents, the finished look is absolutely gorgeous, gorgeous, gorgeous! And, well worth the additional coats. Another added bonus is, unlike some other glittery polishes, once dried, Scuppered has a smooth surface. I wish I would remembered having Scuppered sooner, because I would have worn in a lot more during fall. Btw, I get five days of wear from Scuppered. I just checked Butter London's site, and Scuppered is no where to be found! 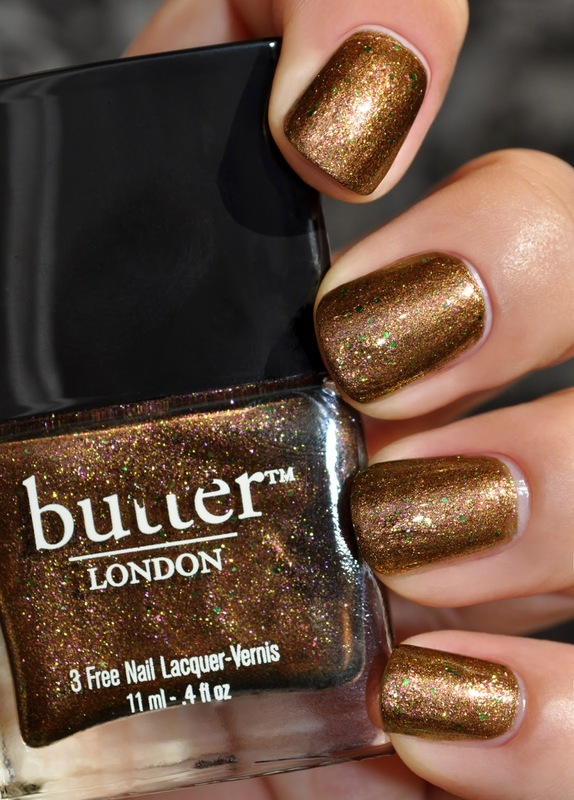 WTH Butter London?! Being that I'm at the half mark, I'm going to have to ration out my usage of Scuppered. I guess we can always try ebay? !